A few days ago I promised to profile John Muhima Kalekezi, the father of the Inspector General Of Police Gen kale Kayihura. Many Ugandans may not know that KK’s father was very instrumental in the independence struggles of this country. Some ignorant ones even label KK as a non Uganda, yet his father was one of the descendants of this country. For instance One article that was written by Mr. Fred Guweddeko , mentioned that one Kalekezi , a Munyarwanda by origin , was a radical that was being used by communists to change the government by force of arms. It must be stressed that by the time john kale emerged on the scene , there was no country called Uganda ,since it was still a protectorate, therefore the Rwanda origins don’t arise. He somehow managed to get deeply involved in the politics of this country and was very close friends with the likes of Apollo Milton Obote, Paulo Muwanga , Abu Mayanja , Ignatius Musaazi and many other Ugandan nationalists. Peter Oola, Miti-Kabbazi, Yekosofati Engur, Paulo Senngeendo and Samson Sekabanja. This was the list of nationalists who fought for, and not those who talked for, Uganda to get independence. He also managed to get in close links with Egyptian president Abdel Nasser and was in advanced stagesof linking up with Congolese nationalist Patrice Lumumba. Actually from the look of things, there was likelihood for john Kalekezi to become president of Uganda. From the research that I have carried out it shows that John Kalekezi was born 1932 to a parish chief and was a grandson to a renowned elder in Bufumbira Yokobo Rwanyonga. He studied at Mutorere Primary School in Kisoro district and joined Kitabi Seminary in Bushenyi. He then went to St. Mary’s College Kisubi in 1951 for secondary education. The slender and tall Kale enrolled at Makerere University College in 1952 to study Veterinary Medicine. He was involved in student politics at Makerere where he was Vice Chairman of Students Guild Council. Kale is talked about as having been a very articulate and resilient youth. In 1955 Kale attended an international union of students’ leadership course held in Vienna. He, however, extended his stay abroad addressing international community on the need for self-government to the chagrin of the protectorate government. He took up an active role at UNC’s offices in Katwe where he worked with other volunteers like Paulo Muwanga and Samson Sekabanja. Kale then joined Katwe People’s Council militants that had elements like Kizito-Bulwada. These UNC volunteers joined other Ugandans to oppose the visit of Queen Elizabeth II in 1954. Kale who had attended Cadet Corps Center training at St. Mary’s College Kisubi and together with his group managed to steal thirty assault rifles and six hundred round of ammunition from Kisubi armory which they wanted to use to deal with the colonial government. The guns were however recovered from them before the queen’s visit. Kale would later be appointed UNC Secretary for Foreign Affairs and was posted in Cairo Egypt. He trekked from Uganda to Khartoum in Sudan where and got a flight to Cairo in 1957 represent UNC at the first Afro-Asia Solidarity Conference. 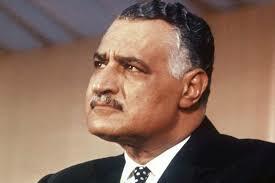 His anti colonial movements brought him close to other Pan Africanists like former Egyptian President Abdul Nasser Jamal. Having negotiated the support to the cause of Uganda’s independence from political committee of the Arab league, John Kale initiated in June and July 1958 from his exile base in Cairo the militant revolution to finally oust British rule from Uganda (with one year by 1959). At the time of his death he was a strong defendant of the freedom of the African people and had traversed the world in efforts to realize this cause. He was planning to lead Uganda National Congress into the 1961 elections. Hajji Kirunda Kivejinja who worked with Kale in the pre independence struggles says Kale started the struggle although he did not live to witness the fruits and his successors tried to rewrite history. Then a young man in the 1950s, Kalekezi joined the Ugandan National Congress (UNC) and traversed the world, spreading his zealous anti-colonial sentiment. Based in Egypt, his activities were not only nationalistic exhibitions of strong pan-Africanism, but were inclined towards blunt anti-establishment activism. He delivered a paper in Stockholm titled “Colonialism is Incompatible with Peace.” He penned anti-colonial writings, and sent them back home through UNC officials like Abu Mayanja. He was killed in a plane crash in Kiev, Ukraine in 1960, an accident that left many suspecting foul play, especially from the colonial government. He died in a plane crash on August 17, 1960 at Kiev, Ukraine, on his way to Moscow, in the then Soviet Union. At the time of his death, Kale was based in Cairo, Egypt, where he served as Foreign Secretary of the Uganda National Congress (UNC), and one of the permanent secretaries of the Afro-Asian People’s Solidarity Organisation. Kale’s name is not well documented in the annals of Uganda’s pre-independence history because the colonial government had banned all his literary works. It’s unclear why Post-independence leaders, commentators and authors, didn’t reverse this deliberate suppression of Kale’s work but rather perpetuated it. John Kale, an old student of St. Mary’s College Kisubi, was expelled from Makerere University where he was studying veterinary medicine because of his links to anti-colonial movements in Africa. He was instrumental in coordinating anti-colonial struggles at home and abroad. His passport, according to the family, was consequently confiscated to restrain his movements. Because of the limited and repressive space at home, John Kale went to Cairo, Egypt, where he continued his anti-colonial struggles. While in Egypt, the family says, President Abdu Nasser allowed him to use the state radio to propagate his anti-colonial agenda in Uganda. “Together with people like Ssenyonga, he used to broadcast in Luganda from Cairo to people in Katwe,” the family reports. 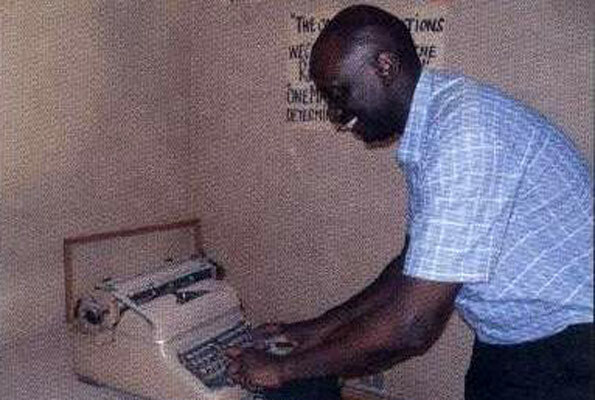 John Kale is also said to have attempted to petition the UN, demanding Uganda’s independence only to be blocked. He then joined the Cameroonian delegation that was demanding for the country’s independence. What John kale was outstanding for was being ahead of his times - from the Guild days at Makerere, to the inferno at Kiev. One Egyptian said on TV the other day that Kale was never imprisoned. 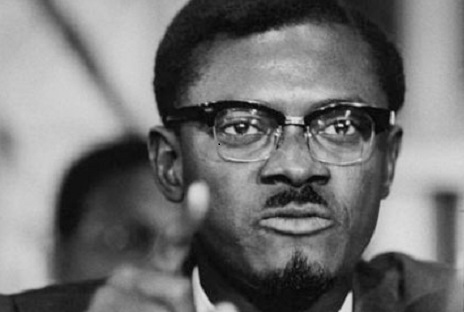 This is not so because, one time, as he approached Belgian Congo from the Belgian Rwanda side, to join up with Patrice Lumumba, he was captured and imprisoned at Goma by the Belgian authorities. On April 9, 1960, the USSR shot down a US Lockheed U-2 spy plane piloted by Francis Gary Powers carrying high-altitude cameras near Sverdlovsk in the Ural Mountains, about 1,500 miles inside the Russian border. US President Eisenhower refused to talk with USSR President Khrushchev to resolve the spy plane crisis. It’s alleged that Kalekezi was mediating between the USA and the USSR when he died in an air crash on August 24, 1960. The death of Kalekezi received full coverage on BBC and print media across the world. They accorded him the title of the first African “International Politician”, but downplayed his greatness by describing him as “very, very handsome”, as if he was a beauty contestant. Controversial John Nagenda Desperately Wants President Museveni Step Down From Power before 2021!